Being wrong is an integral part of the assessment process, and understanding how to learn from those mistakes, errors, and misconceptions helps educators and students get the most from their learning experience. In this practical volume, James H. McMillan shows why being wrong (sometimes) is an essential part of effective learning and how it can be used by teachers to motivate students and help develop positive achievement-related dispositions. 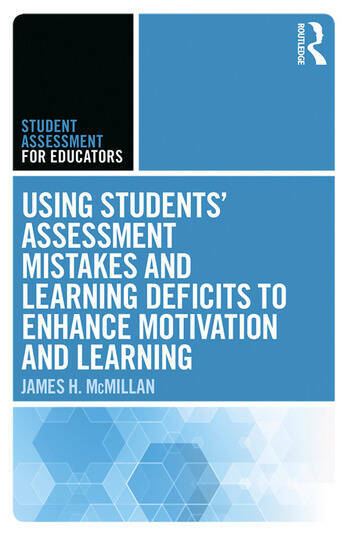 The six concise chapters of Using Students’ Assessment Mistakes and Learning Deficits to Enhance Motivation and Learning show how mistakes affect students’ engagement, self-regulation, and knowledge, and how teachers can most effectively contextualize supposed failures to help students grow. Chapter 1: Better Being Wrong?